Chinese children were not permitted into any other public schools in San Francisco. Sam Brannan announced that he had discovered gold when he showed the gold crown he had found. Need an elementary school for your child to go to? 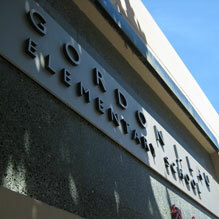 Gordon J Lau Elementary School is located at 950 Clay Street, San Francisco, CA 94108. The school has good teachers that will do their best to teach your child to be successful. 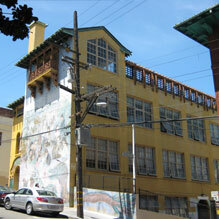 The school was created on 1859 and named “The Chinese School.” Chinese children were assigned to this school for only Chinese students; they were not permitted into any other public schools in San Francisco. In 1924, the school was renamed to “The Oriental School”, so in addition to Chinese students, Korean and Japanese students could be assigned to this school as well. 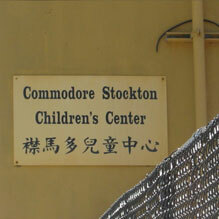 From 1924-1998, the school was named Commodore Stockton School. 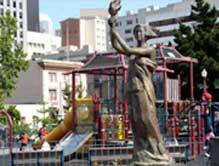 Starting from 1998, it was renamed to its present name, “Gordon J. Lau Elementary School”, after an outstanding Chinese American who was a community leader and civil rights pioneer in San Francisco. 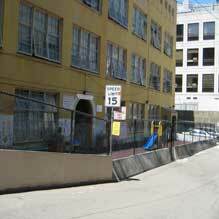 This is a children’s after school center located 949 Washington St, San Francisco, CA 94108, which is right next to Gordon J. Lau. 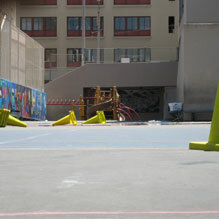 There are also a lot of playgrounds and parks in Chinatown other than food stores. Portsmouth Square is one of them. This park is where a lot of tourists like to visit. Portsmouth Square is interesting because it has a lot of history in it. Such includes the establishment of the first public school in California. The school was erected on the southwest corner of the plaza in 1847. Another piece of history that happened at the square was on May 11, 1848. Sam Brannan announced that he had discovered gold when he showed the gold crown he had found. 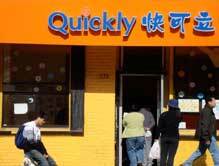 A lot of people enjoy going to Quickly because they find the prices of food there affordable and the food tastes wonderful.